To showcase the homemade sour pickles, I wanted a really good sandwich in which pickles are star players. Lots of sandwiches have pickles but they play a supporting role, like in burgers. 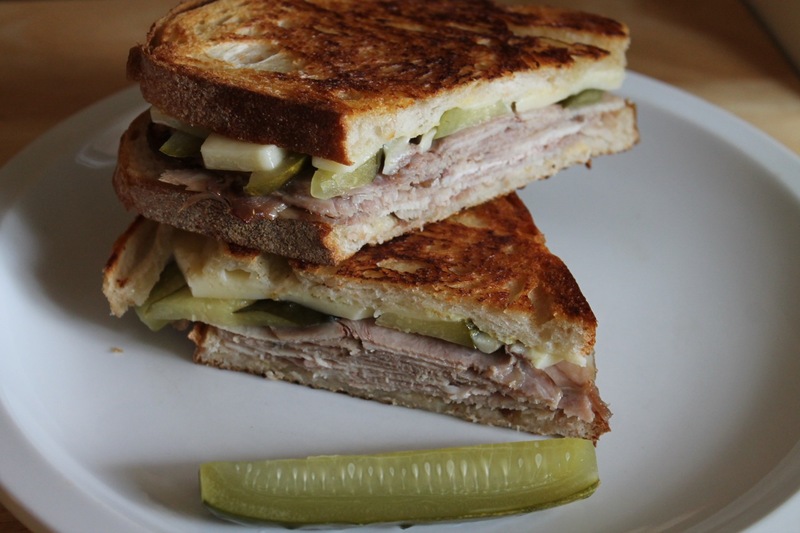 In the Cuban sandwich, which has relatively few ingredients, pickles are a more essential ingredient. Traditionally, Cuban sandwiches have both ham and roasted pork. However, I used herbed ham from Whole Foods that was a sort of hybrid between the two--definitely meatier and more flavorful than your run-of-the-mill sliced sandwich ham. It was perfect for this sandwich. Heat flat skillet pan over medium heat. Butter one side of each slice of bread. 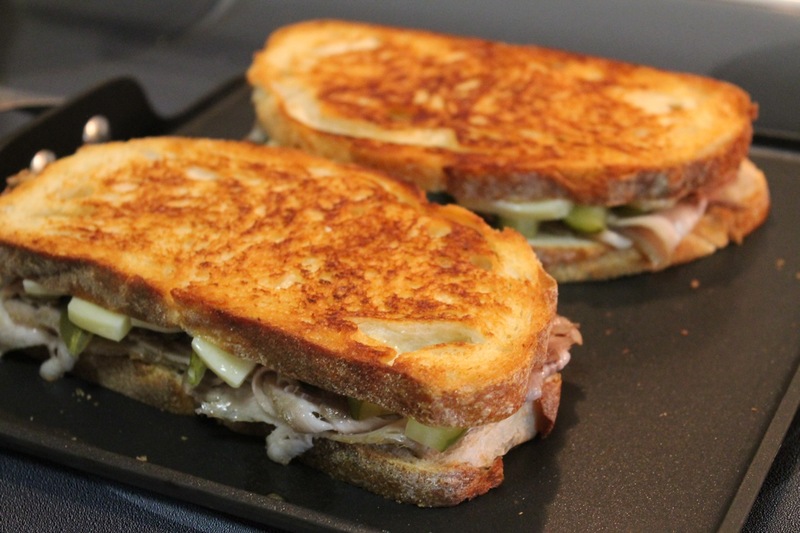 Build the sandwiches with the buttered sides on the outside: spread mustard on the inside of each slice and layer the ham, cheese and pickles. Grill until the cheese starts to melt and the buttered slices are browned, turning after the bottom slices are browned. Serve with additional sour pickles. Nobody makes a better sandwich than you. Thanks honey.